Are you looking for some inspiration in your home? As the next Art World Expo nears, we are finding some great products to help you get inspired in your own fairy tale life! 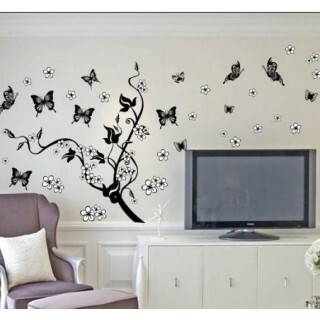 Check out this cool site offering a variety of wall art in the forms of stickers! MagicalWall.co has some great ideas on how to bring inspiration into your home. Each decal is made of quality vinyl and no matter what kind of patterns or styles you’re looking for, you can go for a variety of wall art right off this site! Some ideas for your home are adding a tree, nursery wall lettering, wall art quotes, and photo frame vinyl decals. You can apply them in your living room, bedrooms, kitchen and even bathroom. Also, they can add more fun to your workplace too!